Major scientific and technological advances, alongside socio-demographic changes and increasing demand for medicines, will revive pharma's fortunes post 2020, according to a new report from PwC, Pharma 2020: From vision to decision. However, in order to survive to 2020 and then to potentially thrive on the opportunities the next decade holds, important decisions need to be made - and the challenges of rising customers expectations, poor scientific productivity and cultural barriers need to be addressed. One of the major hurdles facing the pharma industry is the rising healthcare bill. Its expenditure as a percentage of GDP is climbing in countries in every income bracket and is increasing most steeply in the mature markets where the industry has historically made most of its money. At a time when all economies are feeling the tougher times, the industry is having to play its part. The bill payers are demanding better outcomes and introducing new mechanisms to measure these as a precondition for paying for new medicines. As a result, PwC research suggests that the pharma industry must either offer more value without charging more or prove that it can remove costs from another part of the healthcare system to make room for the higher prices it's charging. For example, the scope for helping healthcare payers save money in the mature markets is huge. Currently, roughly more than 85% of the health budget goes on healthcare services and less than 15% on medicines – so if the industry can reduce spend on costly medical services and procedures, PwC estimates that its share of healthcare expenditure in these countries could rise to 20% by 2020. "A healthy, vibrant and responsive pharma industry is vital to society for the development of new medicines. More needs to be done to support and encourage long-term investment in the discovery and development of medicines to treat serious disease. We need to all work together to improve the wellbeing of populations." The growth markets - which will account for 33% of the world's GDP and where demand for medicines will more than double by 2020 - offer the pharma industry countless opportunities but the report highlights that for it to be profitable, it's about being sensitive, strategic and targeting the right population with the right medicine and delivering value. The report believes that the industry needs to rebalance its expenditure and invest more in the early part of the R&D process to deal with rising costs. More needs to be done to improve productivity and the returns on R&D investment. Most of the products that will be launched in the coming years are already in the pipeline, but they are not aligned with demand and rising expectations from healthcare payers, providers and patients. Marrying the pipeline with the market in the next decade is going to be the key. Despite the big changes in the industry over the past few decades, the report also finds that the organisational culture at many pharma companies has changed very little, or if anything has become more stultifying. The industry has struggled to deal with change in the past, but the report says change must now be embraced in a rapidly changing world. A demanding commercial environment is set to continue and in order to succeed, the report suggests this must change and industry's top figures need to foster a creative corporate culture that allows organisations to develop with the courage to explore and flexibility to thrive in different conditions. "The industry is at a crossroads. In established markets, budgets are constrained and all stakeholders want real solutions and cures. Pharma companies must now deliver 'real' value to payers and patients to prove their worth and to rebuild trust in the sector. In growth markets, companies must respond responsibly to a growing population's needs, recognising demographic and cultural diversity. "The industry has historically found change difficult to deal with but time is running short and decisions must now be taken. Those that do, face an optimistic future, while failure to respond now could lead to many regrets." 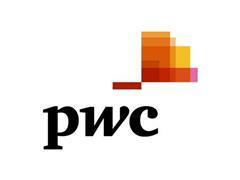 PwC helps organisations and individuals create the value they're looking for. We're a network of firms in 158 countries with more than 180,000 people who are committed to delivering quality in assurance, tax and advisory services. Tell us what matters to you and find out more by visiting us at www.pwc.com.